Link is an article about his signing with Southern Illinois 11/17/18.... Typo? Two Evan Taylors? Does anyone know whats up here? Evan looks like a very respectable prospect. 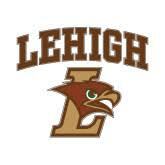 "Congratulation to Evan Taylor GBW/IL Heat he picks up an Offer from Head Coach Brett Reed of Lehigh University. When One Door Closes, another Door Opens Wider and Brighter with Better Opportunities. Trust and Believe in God!! See the recent discussion on the 2020 thread. Taylor, a 6-foot-5 left-handed wing from Glen Ellyn, Illinois, averaged more than 17 points and 7 rebounds as a junior in 2017-18. He earned All-State honors after the season. "ET can play positions 1 through 4," Walker said. "He can get the rebound and start the fast break. He's a big-time defender on the ball and can also defend point guards through stretch forwards. Any time you can add a top player in the state of Illinois, who is also a potential future Academic All-American, you're excited about that. We can't wait to get Evan here and have him as part of our program." Taylor played for the Illinois Heat AAU program, coached by Terry Head. Also an academic standout, Taylor chose SIU over Ivy League schools, Illinois State, and Loyola. For this incoming class ? Wow! this is great news!! Loved the compliments, referrals, and offers this young man had. And what a change of fortune for Lehigh and Evan. We need additional athleticism and another great kid. Welcome to Lehigh, Bethlehem, and the Lehigh Valley!!! Evan cant replace both Pat and Caleb but he will fill that void very well. Much more of a multilevel player than either Pat or Caleb and he plays D.